And so we reach the final day of our festive countdown, and what better way to end it than featuring the most gluttonous of all sins - food, glorious food! From advent calender chocolates to mince pies and turkey with all the trimmings, it's easy to see why the average person puts on a whopping five pounds over Christmas. But hey, what's January for if not detox and dieting?! So here we have it, The Amazing Blog's contribution to those oh-so-worth-it extra five pounds. Preheat the oven to 400F/200C/Gas mark 6. Using a 2 in cutter stamp out 2 circles from each slice of bread and brush lightly with olive oil. Lift into a baking tray and cook for about 10 minutes until crisp and pale golden. Remove from the oven Slice the brie and divide between the round toasts. Top with a little cranberry sauce and place under a preheated grill for 2 to 3 minutes until cheese begins to bubble. Serve hot garnished with fresh chives. For anyone wanting to offer their guests an alternative to the staple salted peanuts, is premium brand The Dormen Company's chocolate, fruit and nut mix. Passionate about pursuit of excellence, obsessed with detail and uncompromising on quality, The Dormen Company is steeped in heritage, and has been producing the finest nuts and snacks for over 20 years. All snacks are prepared with special care and attention using the finest nuts sourced from all over the world and are not presurized like conventional nuts, ensuring total freshness. And while turkey and the trimmings is, without question, one of the highlights of Christmas Day, we've found another festive meaty treat for all you carnivores out there. Muddy Boots by Roland and Miranda was launched in 2008 using top cuts of Aberdeen Angus beef and the family-run business supply both their burgers and 21 day matured steaks to a number of top restaurants. With the festive season in mind they have brought out a limited edition Christmas burger that combines the creaminess of Camembert with the tart bite of cranberries, and is somewhat easier to prepare than a roast! Not forgetting any chocoholics is The Most Honest Chocolate Tablet from Spanish company The Chocolat Factory. With eight different sized bars, it offers a quirky, tongue-in-cheek alternative to the average chocolate treat and lets you know exactly how many calories you're indulging in. We suggest scoffing the lot! And finally, Christmas wouldn't be Christmas without a Christmas pudding. And for those of you who, like me, aren't huge fans of the traditional combination of dried fruit and brandy, Australian brand Pudding Lane is the answer to all your Christmas wishes. As well as the original recipe, Pudding Lane also offer chocolatey twists perfect for all the family. From a triple dark chocolate pudding, to chocolate mud cake and macadamia or our personal favourite - the chocolate mudcake and orange liqueur, these are the perfect way to end a very indulgent Christmas! For all our friends and followers, don't forget to log on to our blog between Christmas and New Years as we will still continue to keep you updated with news and reviews. 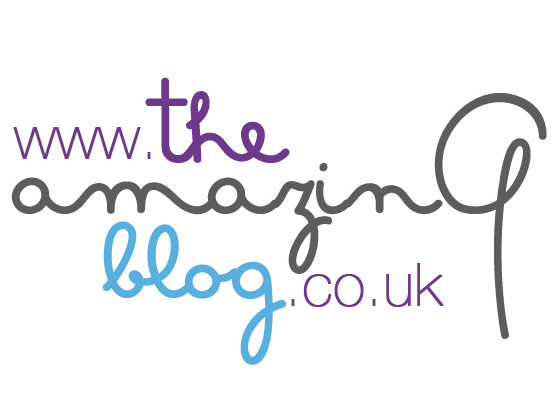 The Amazing Blog would like to wish you all a very merry Christmas! Older PostGet in the Christmas Spirit!